Working with an experienced, knowledgeable optician is essential to choosing great eyewear. 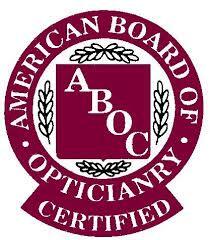 At North Country Eye Care, our opticians are ABO certified, which means that they have passed a test in opticianry and received National certification. With their extensive knowledge and high level of professional experience, they are highly qualified to help you choose the right frames and lenses for your needs.